Pokemon GO is a must-have game for every smartphone owner. It is the combination of virtual world and real life. We mentioned augmented reality as the future of gaming, but after following it on the hype cycle we simply forget about it, but now it is here and it is currently the most popular global phenomenon. We in the eSports industry greatly appreciate these newcomer games that enables people to experience the enjoyment of virtuality. Pokemon GO isn’t an aggressive game, not even strategy — however it has some elements — but a fantasy game, for collectors. From a psychological point of view, it relies on our basic instinct ‘we love collecting things’. What Pokemon GO brings to eSports? First of all more attention. Yes, this game is addictive like Clash of Clans, but it is more like a hype and probably after one year we will remember this game as the first ‘AR game on mobile’. Other games like Hearthstone, Dota 2, League of Legends, Overwatch will receive more attention thanks to this mobile game because they could offer the same community feeling in case of a tournament. On the other hand, media just experienced the strength of games. This single game was present in every local and global media, offline and online. People feel that eSports are still a niche thing, it is not, it is now global. This game will show the relevance of location in eSports. Currently, there are zero relations between eSports and location. People could play any eSports game from almost anywhere as far the ping is under 100 ms. Pokemon GO showed us that location matters, it brings people together and creates connections. 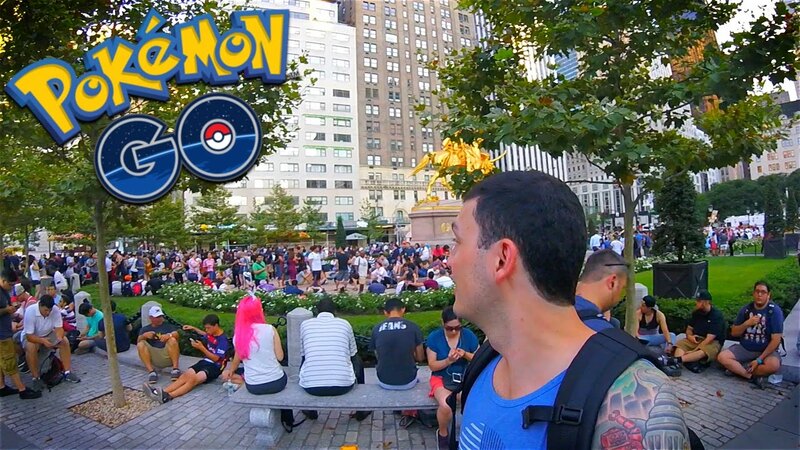 Imagine a park which is full of people playing the same game, that happened in Central Park with Pokemon GO. Knowing new people is essential to everyone. The community feeling is something misses from eSports, there are professional teams but they are temporary. Fans not knowing each other, there is no real opportunity to meet each other. Imagine a world where every eSports tournament would be with full of friends in the stands. They would not only meet on tournaments but also online. In business, we greatly welcome personal meetings even if we should travel up to 8 hours for just one-hour discussion. However, this one hour creates stronger relation than hundreds of messages. This is the strength of real life meet. Pokemon GO made approximately $3.9 million to $4.9 million in the first day. Nintendo’s market value raised $7.5 billion in a single week. But do not forget about Apple and Google the third of the revenue streamed to them. It is a huge win for these companies, but it will attract more investments to AR games and VR industry. Knowing that over a week your investment could return. There will be a big competition where Nintendo could take the lead, what’s next? First, let’s play the game.